Two years ago, one of my high school classmates invited me become a distributor of food supplements. But because I was too busy preparing for my wedding, I told him I have no time besides, I don't think I'm into sales, lol. He even gave me few tablets to try. Fast forward, about two weeks ago, I was seated and listening to stories of people who have been advocating these vitamins. 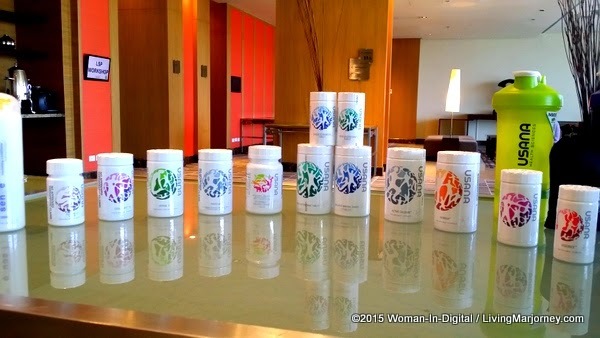 Okay, I'm talking about USANA. I believe many of us are familiar with the brand. USANA Health Sciences Philippines welcomes 2015 with a strengthened vision and passion to promoting good health and wellness among Filipinos as it announces Team Pangilinan and the second batch of Team USANA Pilipinas as the new additions to the growing family of USANA brand ambassadors. Team Pangilinan comprised of the husband-wife tandem of Anthony Pangilinan and Maricel Laxa Pangilinan, along with their children Ella, Donny, Hannah, Benjamin and Solana, joins USANA Philippines' growing roster of brand ambassadors. Team Pangilinan is a regular participant of multi-sport activities, including fun runs, triathlons, marathons and even Ironman competitions with the vision to promote a Christ-Centered, balanced, and productive lifestyle as a family. healthily,” says Ms. Maricel Laxa-Pangilinan. Following the success of the first batch of Team USANA Pilipinas, USANA Philippines further expands the family with the second batch of outstanding Pinoy athletes as they promote ﬁtness and wellness among Filipinos. This year’s roster includes Misagh Bahadoran, chiefly Caligdong and Belay Fernando for Football, Biboy Rivera for Bowling, Sid Isidro for Dragon Boat, Michelle Cojuangco Barrera for Equestrian, and Peter June Simon for Basketball. These athletes follow in the foouteps of other USANA-partnered. USANA believes that the partnership is necessary to help Filipinos get inspired, empowered and more driven in achieving good health. I got a pack of USANA Nutrimeal and I'm excited to try it soon. 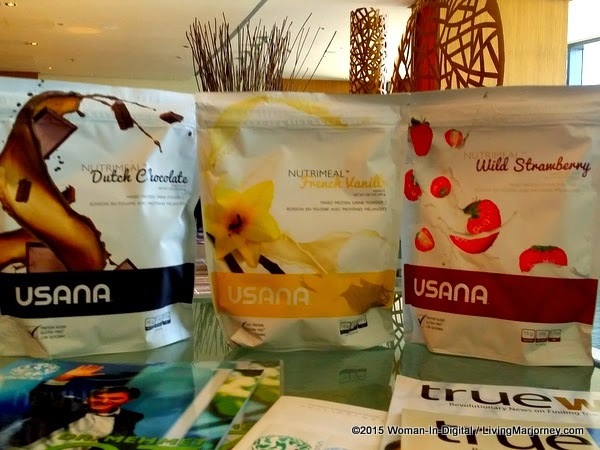 How about you, have you tried any of the USANA products? How's your experience?